Acrylic. 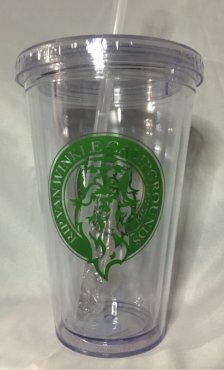 Insulated, 16oz travel cup with twist on lid and reusable straw. Clear with Rip Van Winkle Campground logo.